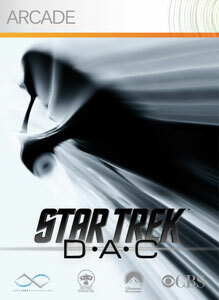 "Star Trek®: D-A-C is a fast-paced, top-down space shooter inspired by the new motion picture. This pick-up and play game allows you and your friends to choose starships ( from a list including the all-new U.S.S. Enterprise ) and battle it out online! Enlist in Starfleet or join the Romulan Empire as you battle with up to 11 friends in game play modes including: Solo Play, Online Versus, and Online Co-op. Command the powerful Flagship, the nimble Fighter or the devastating Bomber, each with their own unique capabilities. Choose your side, fire your weapons, boldly go!" 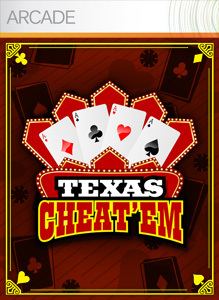 "Texas Cheat'em – the poker game that gives you the ability to win just like the pros - by cheating! With a treasure trove of tricks hidden up your sleeve, there's no such thing as a "bad hand!" Bamboozle the competition, bag their cash, and bluff your way into poker history!"